Reclusive French sculptor ACM puts myths into miniature. For the last 30 years he has been creating “boulots” (i.e. “jobs”, or the daily grind), painstakingly piecing together reconstituted electronic, radiophonic and typewriter components. 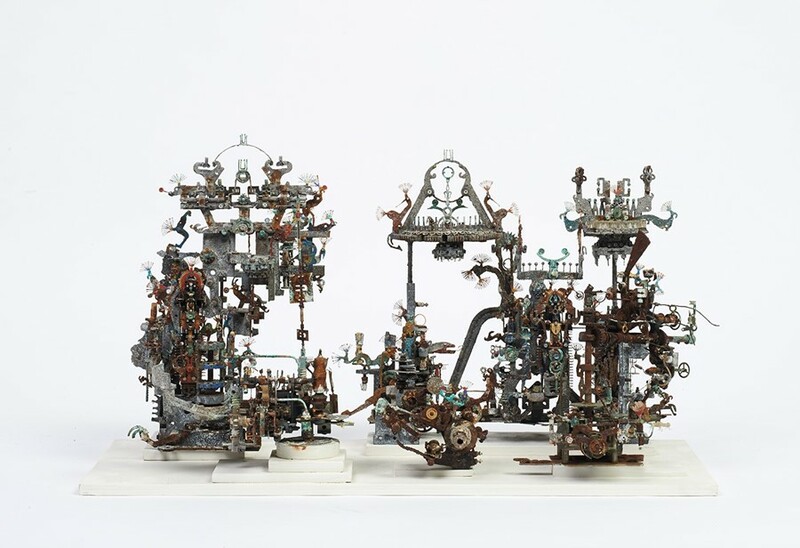 This work, "Untitled, 1c 2010", is a puzzle of re-assembled machine components and electrical elements. “It takes two to three months to make a boulot. Foraging for materials at charity shops and village markets and then assembling the elements is a time-consuming process. To make one of the large tables, like the ones at Maison Rouge or LaM in Villeneuve-d’Ascq, takes up to a year.